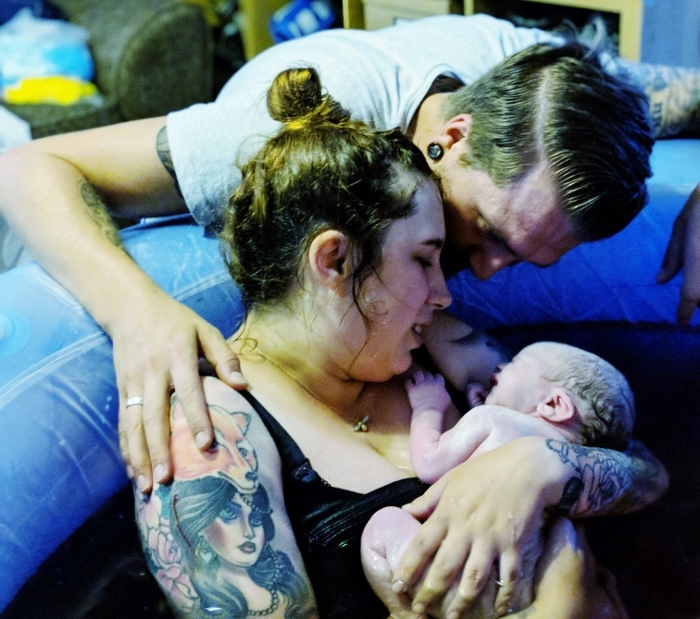 If you’d asked me six months ago what my birth plan was for our second baby, all I could commit to was a water birth, most likely at our local midwife led unit. However at 34 ish weeks we made the decision to go for a home birth. 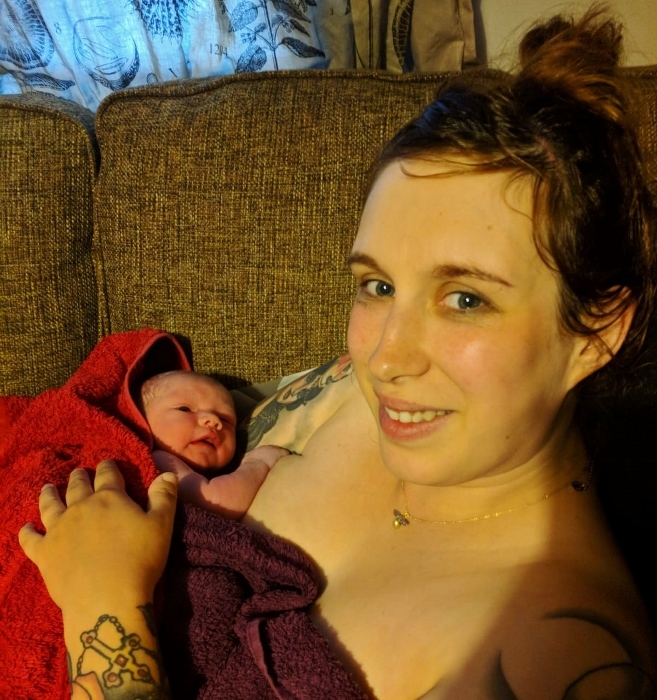 And this post is probably one of the happiest posts I’ve written as I got pretty much the perfect birth story, at home, and with that water birth I’ve wanted since having Henry in 2016. You can read how we planned our home birth here. 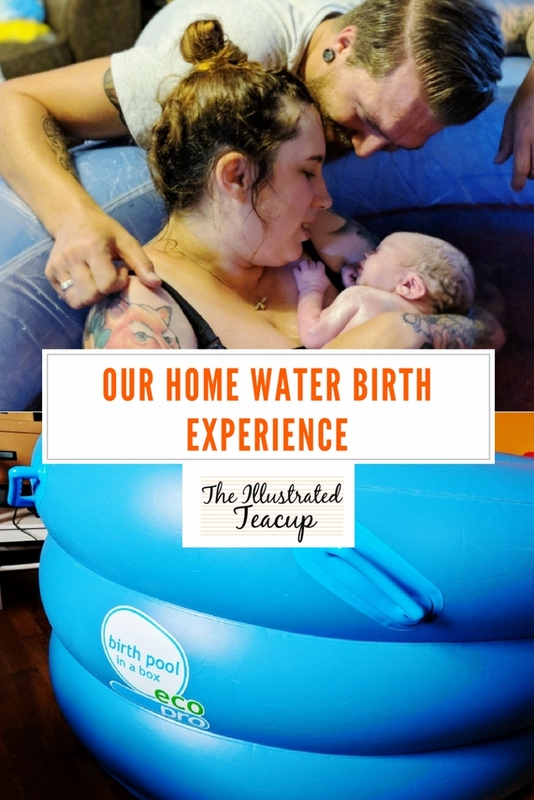 We knew we wanted a water birth from the start as it was the one thing I missed with Henry. I had a good water labour but actually gave birth on dry land. So our first step was getting a pool. 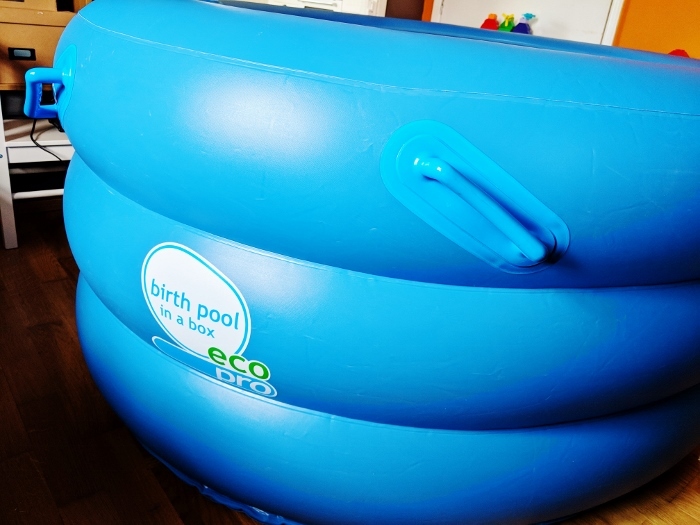 We were very generously gifted a mini pool from the Gentle Birth Birthing Pool Hire* and honestly I can’t thank Ceri enough for helping make my dreams come true. After a few contractions on the Tuesday night, I started getting tightenings on Thursday 28th around lunchtime. 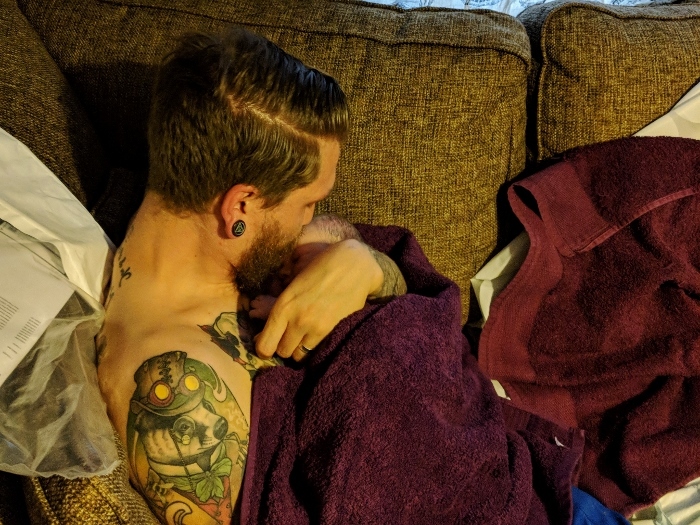 Id put Henry down for a nap and was chilling on the sofa and gradually noticed they were getting more painful, more frequent and started in my back (big sign for me is pain on my back). At 2:30pm I called Dann at work and asked him to come home as I was starting to struggle with the pain and looking after Henry on my own. He got home at 3:30pm and by 4:30pm I was having pretty regularly contractions between 3-5mins apart and lasting a minute which I couldn’t talk through. I phoned the midwives and chatted. We decided to give it another half hour and then call back. At 5pm they were getting more intense and I could feel them pushing downwards too so the midwives were dispatched and I decided to bounce on my ball to help with the pain. Dann put Henry to bed (early but he followed his normal routine and got him settled in bed as normal) and then set about blowing up the mini birth pool in a box. Our midwives arrived at 6pm – two qualified midwives and two students – as I was already getting the bearing down feeling they decided to send two midwives, not just one. I was checked over and examined and found I was 5cm already so the pool could be filled and the midwives were staying with us! To say I was shocked would be an understatement, but I was even more surprised when my waters broke approximately two minutes after my internal exam! It genuinely felt like something has popped in my back and then it felt like a big gush of water between my legs. Thank goodness for inco pads or my sofa would have been done for! We set about sorting the rest of the room with our shower curtain on the floor so I could lean against our sofa and kneel on the floor. I also got some gas and air, which is probably my favourite thing ever as it makes me so doppy in labour. At 8pm, the pool was finally full and at temperature. Unfortunately our hot water tank just couldn’t keep up and Dann reckons he should have started with cooler water to start, then put loads of hot water, then finished with cold. He mixed all along but ran out of hot, so there was a few kettle runs needed. Basically it was a little touch and go on which would make the finish line first, the pool being ready, or Dexter being born as at this point I was starting to want to push (and with some contractions actually pushing). Luckily I managed to get into the pool which was so lovely. It took the weight off my feet and made me feel so relaxed. A couple of contractions later and his head was out. Two more and the midwives caught him and passed him up to me where I could sit back for some skin to skin and delayed corn clamping. Honestly I think at this point I was in totally shock. I don’t know if it was because it was my second birth or it was the water or what, but it all felt less hard, less draining, more natural. I felt like my body did the work, and the midwives seemed to agree. My contractions did their job and I followed my instinct a lot, with a little guidance. And being in the pool afterwards where it was warm and freeing was so perfect for me. I eventually got out so Damn could have cuddles and I could deliver the placenta and get checked over on the sofa. Dexter was weighed (6lb 13oz) and the midwife helped get everything cleared up and pool moved outside after it was emptied (thank goodness for the submersible pump doing most of the work) and then we were home alone after our first feed. It was so relaxing to not have to move, to have all our food available to us and be able to go to sleep in my own bed. The care I was given by my midwife team was second to none. The two student midwives Maggie and Charley were absolutely brilliant and basically ran the show as they were third years so practically qualified. We also ended up with six midwives in our living room when Dexter was delivered as he arrived just after shift change so the new midwives had just arrived and the four others decided to stay on as he was so close. 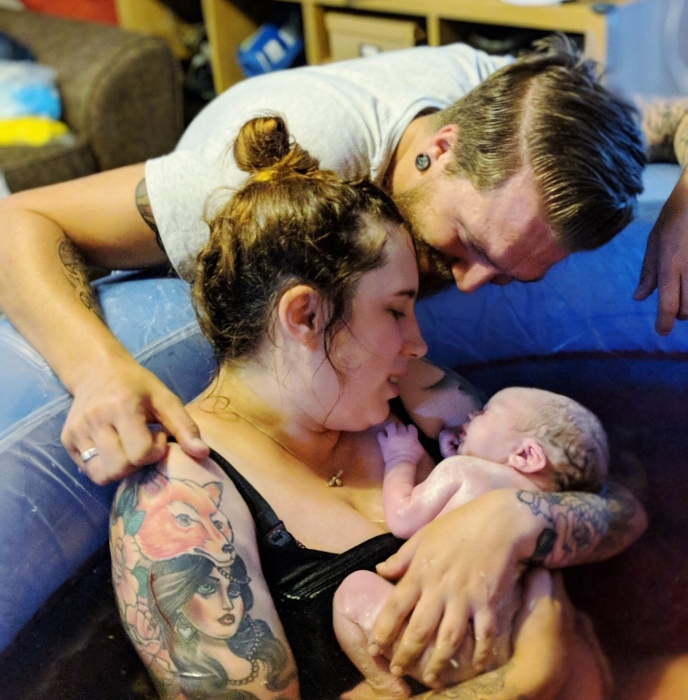 I don’t think I could recommend a home birth any more, it was basically the perfect birth and I felt completely relaxed and cared for. No distractions. And I’m pretty darn proud of me for doing it too!! *Pool provided free of charge (I paid shipping only) in exchange for review on this site. All opinions are my own. As a side note, the midwives were all super impressed with the set up and the ease of putting it up and down. "Farmers Market exploring – The Ordinary Moments"
"How our playroom is organised to stay as tidy as possible"
Congratulations, sounds like a lovely birth experience!